I have been loving our new gas grill and having so much fun creating different "grilled" salads. 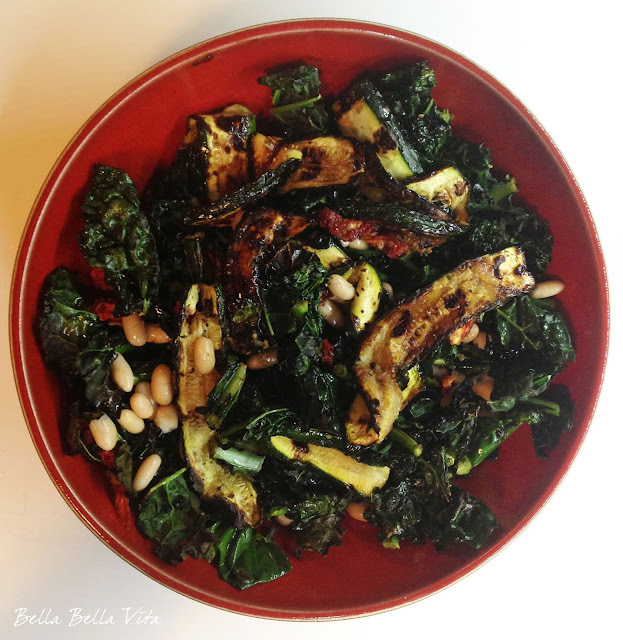 I haven't cooked much with kale as I never liked the flavor raw and decided to see how it would come out grilled. I loved it! This quickly became the base for my salad and I then tossed it with grilled zucchini (love), cannellini beans, sundried tomatoes, feta cheese and balsamic dressing. It was so good! ... super healthy with a great smokey grill flavor! P.S. Please excuse the picture ... it's not the best picture I've ever taken, but I loved this salad so much that I had to share it today!